However, this is generally how they are set up! Each day we meet at Momentum Learning Centre. From there, we often use the Regency Chrysler Care-A-Van and adventure around Quesnel. Upon registration your child receives a list of places and activities and asked to choose their favorites. 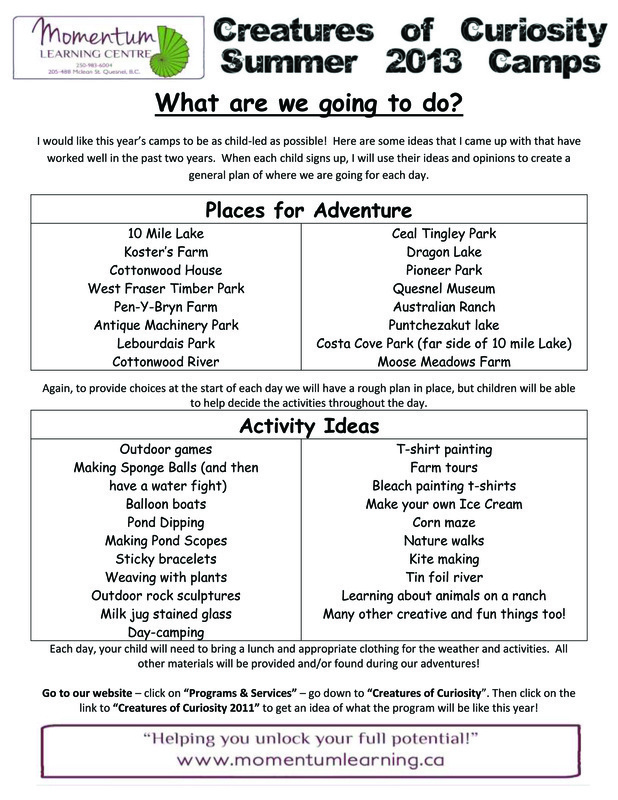 We then use these suggestions from all participants to help plan a rough itinerary for each day-camp! As well, due to Provincial guidelines for booster seats and seating arrangements, there is room for a maximum of 4-5 children per day-camp. I know that having these small groups helps everyone feel comfortable and enjoy their day to the fullest! It is like a small family trip! At the beginning of July and August, parents will receive information as to the general itinerary of each day's camps. More specific activities and plans will be developed by the group before leaving each day. Children will need to bring a lunch and appropriate clothing for each day. Everything else will be provided! See below for a list of possible places and activities! 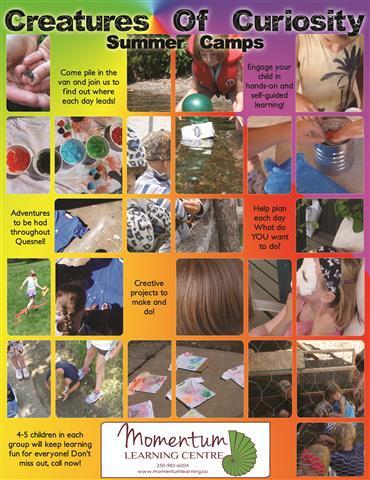 This list is from Summer 2013, but will give you a general idea of the potential for fun! To see posts about our past programs, click on the link below!